Southern Food Systems is a cooked meat supplier that currently produces over 600,000 pounds of protein products per month and is increasing volume on a quarterly basis. With the ability to develop the products from ground up, our produce distribution company allows our customers the freedom to create a product that fits their individual needs or application. This can be based on local socio, ethic, and economic requirements. As leading wholesale meat distributors, we have experience in creating products from numerous species, and also developing products with specific dietary restrictions. 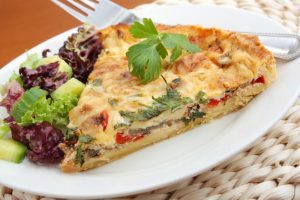 Some of the dietary restrictions we have addressed in the past include: lower sodium, lower fat, and higher protein levels. The finished weight of the product is also something we meet, as well as shape and dimensions. 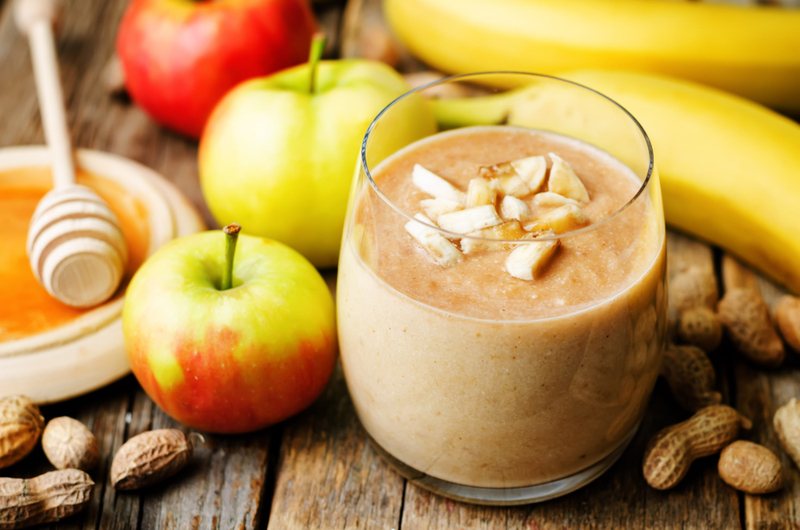 Having the ability to change formulas, flavor profiles, shapes, and sizes gives the customer the ability to have a unique product that differentiates them from their competition that they can take to market. 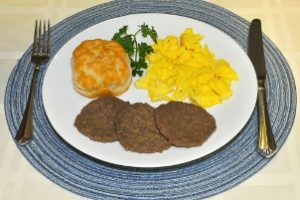 We make a variety of sausage patties or breakfast patties. Breakfast patties are typically pork-free products that meet certain dietary restrictions. We can change the flavor profile, change the size, or make the product with beef, pork, chicken, or turkey to meet your needs (or a combination of meat). Nothing says “American” like a hamburger. SFS creates a hamburger to fit your needs. We currently make a 3 oz. or 4 oz. serving. If an economy product is what you are looking for, then we would suggest you take a look at our chicken and beef patty. The chicken and beef patty has the same hamburger flavor and seasonings but at a more economical price range. Whether it is the hamburger patty or the chicken and beef patty, we can create a product that matches a desired flavor or a nutritional requirement that a dietician needs. Mom’s homemade meatloaf. Is there anything better? 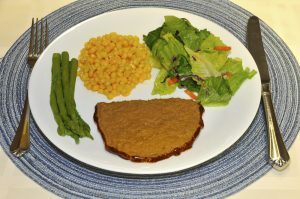 SFS creates a meatloaf your mom use to make with the seasonings that you remember! We also make a variety of sizes (3 or 4 oz.) to match the portions you need for your customer base. 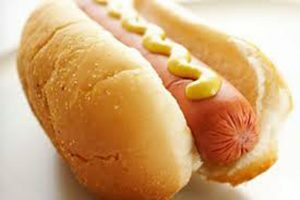 Made with beef or beef and pork, it will be the upscale item that your customer desires. If an economy product is what you are looking for, then we would suggest you take a look at our dinner loaf. Made with chicken and beef, our wholesale meats match the price point you need for that specific price-conscious customer you serve. 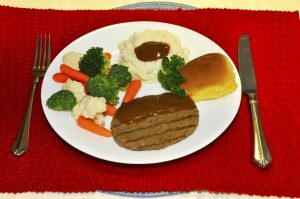 Whether it is the meatloaf or dinner loaf, we create a product that matches a desired flavor or a nutritional requirement that a dietician needs. SFS currently sells two meatball sizes. They are ½ oz. and 1 oz. We can pack the meatballs in a 10-pound, 20-pound, or 30-pound case. Everyone makes meatballs a little differently; however, we match the flavor profile that you need for a particular customer base. We also match any nutritional and dietary restrictions that you might need. 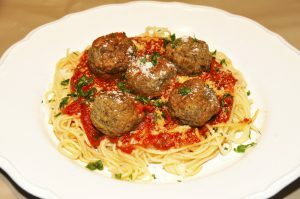 Meatballs can be made out of several meat blocks, including beef, beef/pork, pork, chicken, beef/chicken, or a combination of the three. Our pepper patties are made with a blend of chicken and beef. 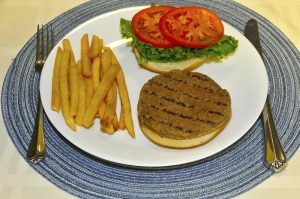 They are seasoned with a variety of bell peppers and other spices, which makes this patty a multi-use product. 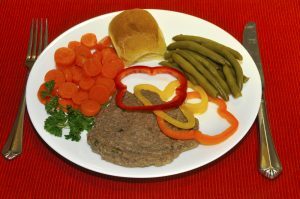 The pepper patty can be made specifically to match a desired nutritional requirement and can be packed in a 30-pound case. SFS Salisbury patties are the traditional taste you have come to love. We produce them with beef and an economical version with chicken and beef. We can customize the product to meet a particular dietary restriction (reduced sodium, reduced fat) if you desire. Our crumbles are made with chicken and beef or just beef. There are a variety of usages for the crumbles. 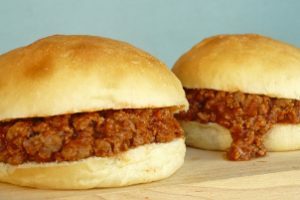 Some of those include: tacos, sloppy Joes, chili, or in casseroles. The flavor profile on the crumbles is the same as our hamburgers. Our process is unique since we make a normal large hamburger “patty,” and then we dice it to make the finished product look more natural. Contact us if you’d like to order a large, 30-pound case of specialty meatballs. We have a national platform of delivery and can proudly serve from coast to coast.